Happy Monday! I hope everyone had a wonderful weekend. Mine was busy, but I'm ready for another week of work before the Gilt Warehouse Sale in Dallas on Saturday morning (who else is going?). Yesterday, I finally made my way to the Dallas Museum of Art to take in the Jean Paul Gaultier exhibit, and it was absolutely amazing. I highly encourage everyone in this general area of the country to come see it before it departs for San Francisco in a few weeks. Never again will I be inches away from haute couture and so completely in awe of the craftsmanship and artistic point of view. 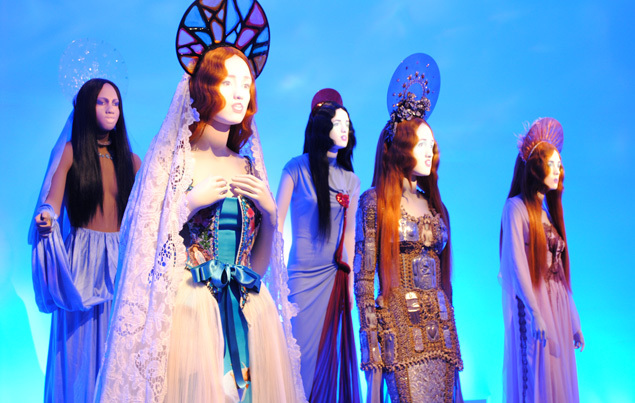 Some of the mannequins had faces projected onto them so that they blinked, spoke and appeared incredibly/creepily lifelike, and there were pieces spanning almost 40 years of collections. 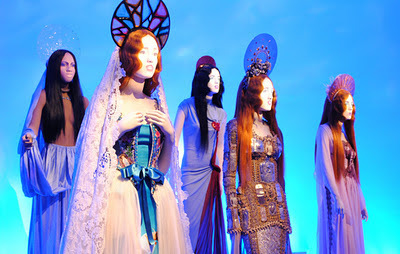 There were more corsets and conical bras than you will ever see in one room again, and various gowns worn by the likes of Marion Cotillard, Dita VonTeese, and Sarah Jessica Parker. I loved it. 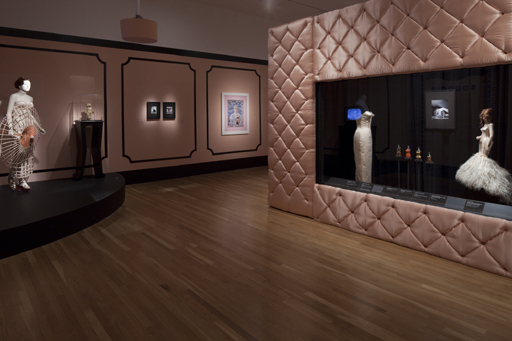 I also found this blog from the DMA curators to be really interesting, and it gave me quite an appreciation for what went into installing the exhibit I enjoyed. Besides staring at fashion on Sunday afternoon, I also got the chance to spend Saturday morning with several amazing local bloggers who will be attending the Texas Style Council conference in March. I secured a roommate for the weekend (Michelle at Spangled Paraphernalia) and got to meet Elissa of Dress With Courage, whose point of view and talent for thrifting makes me want to dig through racks of old clothes. I'm excited to meet new friends who don't think I'm weird to be writing this right now, and look forward to making many more in March. Hopefully you all had a great weekend! 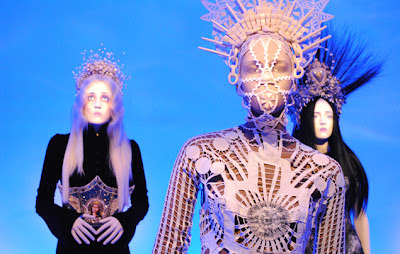 Has anyone else been to the Gaultier exhibit? What did you think? !